Janay: I have been sewing clothes for myself since I was a little girl. I studied ballet in college, and dancing took up most of my free time. This didn't stop me from designing and sewing, but I did put fashion on the back burner for a time. At that point, I had no idea where my love of fashion and creating clothing would take me. Bree: My mom helped me make clothes growing up and I started designing and sewing on my own in high school. I was also a dancer as well and fell in love with NYC after taking many dance trips there. I decided to move to NYC after I graduated to get my AAS degree in fashion design from Fashion Institute of Technology and then went on to get my BS degree in marketing from Brigham Young University. I now run my own custom clothing company. Natalie: I started sewing at an early age and designing came pretty naturally. My dad is an artist, so I was always encouraged to pursue my creative proclivities. I studied fashion and textile design at the Academy of Art University in San Francisco. Now I design evening and wedding gowns under my own label, and I just started an exciting new adventure as the head designer for an athletic clothing line, Kova Fit launching this fall! Gavin: How did each of you first take a more vested interest in fashion and what were some early influences on you? Janay: Since I was a little girl, I loved sketching clothes in my notes at school. I learned to sew when I was young, and so I would take the sketches and turn them into outfits with anything I could find in my mother's fabric collection. I've found a particular love for bridal fashion as I've worked in the industry for the past eight years. Bree: My mom was my greatest influence, she always had the attitude of anything is possible! 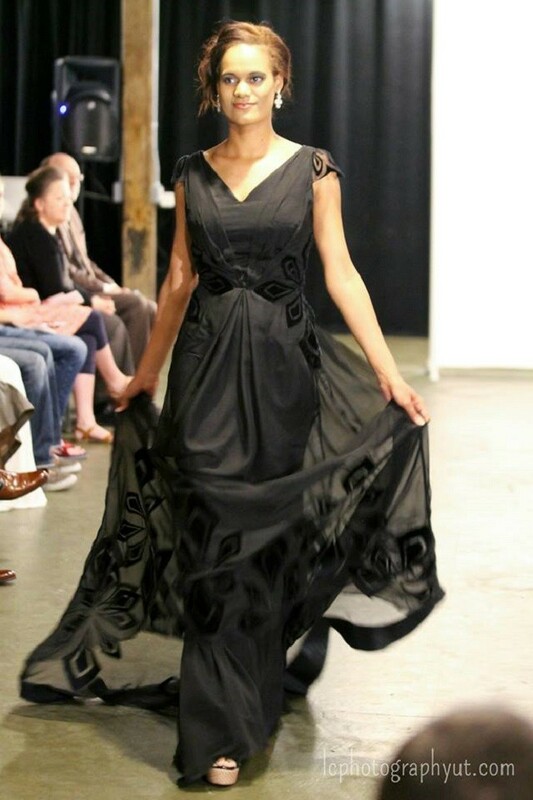 When I was shopping for formal gowns in high school I realized there was nothing that I wanted to wear, that’s when I came to my mom with a design and we made my first gown. I did the design and patterning and she did the sewing. Natalie: I never gave any serious thought to doing anything else. On a much smaller scale, this is what I’ve been doing for fun my whole life. I designed and sewed wild dresses out of anything I could find and made my little sister (and sometimes brothers, sorry guys!) wear them in mini runway shows and photo shoots when we were little. Gavin: What was it like for each of you to learn the trade and break into the business in different ways? Janay: I've taught myself most of what I knows far as fashion design goes. I have a passion for creating and showcasing beauty that has driven me to expand the fashion scene in Utah. That passion has to be there for me to keep going; it takes so much time, physical and emotional energy to break into the business both with my own creations as well as with Provo Fashion Week as a whole. Bree: I started small, selling headbands on consignment to local shops to help pay for fashion design school. I am a HUGE fan of education so for me I knew that in order for me to learn the trade I needed to go to school, for both fashion and business. I use social media heavily to help grow my business, with blogging, Instagram, and pinterest. Natalie: I’ve been lucky to find opportunities where there aren’t many, and where there weren’t any, we’ve made them ourselves. The fashion industry is a tough one to break into so it takes a lot of work, passion and dedication, and a high tolerance for sleep deprivation for anyone who decides to commit to it, so while we all have fairly different approaches, it’s really not all that different. Gavin: Natalie, you were involved with Shabby Apple until you started your own firm, Natalie Wynn Design. How has it been for you creating your own works under your own banner? Natalie: I was always involved in a lot of different things at any given time, so when it was Shabby Apple it was also working with custom designs for a bridal designer and doing freelance fashion and textile design for various companies, so I learned a lot really fast about many different aspects of the industry by working for other companies. It’s absolutely a dream come true that all of that work is paying off and I now get to apply all of those things in my independent projects under my own name, as the head designer for Kova Fit, as well as in producing Provo Fashion Week. Gavin: Bree, you too have been running your own line under your name, how was it for you starting your own brand up and creating women's clothes? Janay: It has been a dream come true! I never thought it was possible to be doing what I love and to have successful international business at 25. It is a lot of hard work and long 15-20 hour days, but it is my passion. I started making things that I love that I could never find in stores, soon people were wanting what I was making and it has just grown thanks to blogging, Pinterest, and participating in Provo Fashion Week! Gavin: When did the three of you all meet each other and become friends? Natalie: Janay and Bree participated in a BYU Fashion show in Spring 2013 and Bree and Natalie worked together at a bridal store. Janay and Melanie Brook put on a fashion show in Spring 2014 and all three off us, Janay, Bree and I were designers in the show which became the first ever Provo Fashion Week. 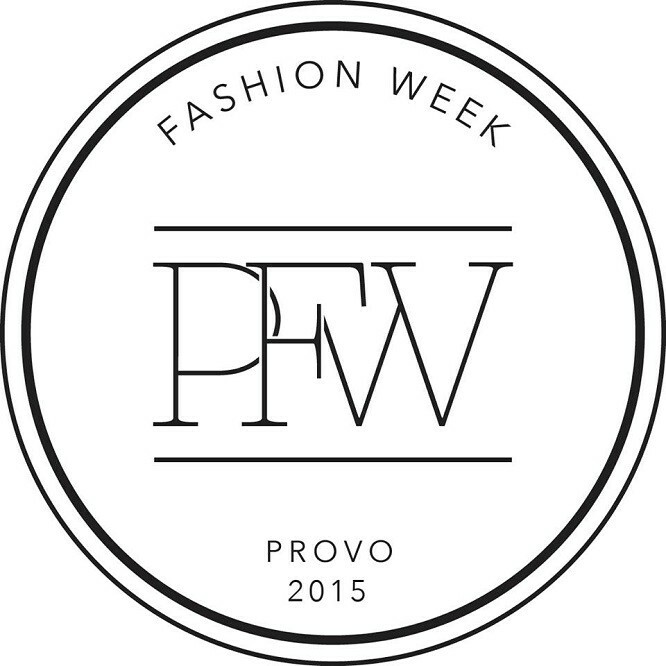 We all had a desire to keep Provo Fashion Week going strong, and so we've joined forces to make sure that happens! 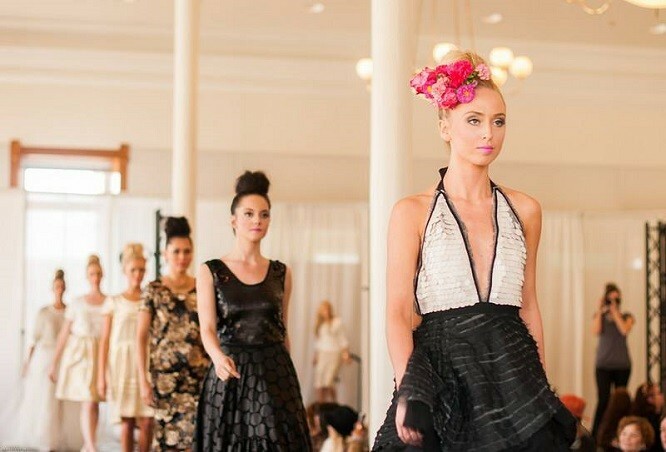 Gavin: How did the idea of Provo Fashion Week come about? Bree: In January 2014, Janay and Melanie came up with an idea to put on their own fashion show. They loved creating clothing but had no venue do showcase their work. Through a barely successful Kickstarter fund, they put together the first Provo Fashion Week in April 2014. Natalie and I also had plans for a show in Fall 2014 and once they decided to design for the April show, everyone concluded with the idea to merge the shows together and form Provo Fashion Week. We’d all been in fashion shows before and decided we wanted to produce a consistent semi-annual event that could continue for years to come. It would give local designers something to look forward to. Gavin: Most events like this only run a single day or a weekend at best, what was the motivation behind a week of events? Janay: As we planned the first Provo Fashion Week in Spring of 2014, we originally planned to have just one show. As we reached out to designers, we had so much excitement that we were able to fill four shows! Since then, Provo Fashion Week has only grown and allowed us to hold larger events. We want to provide many opportunities for local talent to showcase their work. Gavin: What was it like finding designers to take part in the proceedings, and who were some of the major local names you snagged to participate? Natalie: Since we’ve all been involved in the local fashion industry for awhile now, we each made really great connections with fellow designers before we even started Provo Fashion Week and have continued to find more since. There’s much more fashion talent in Utah than people have been aware of, so we’re working to change that and bring awareness to the public. For these upcoming shows we’re excited to have some returning designers like Lauren Mellor for ThreeTwoSevenSix, Alexis Puglisi, Tessel, Beckett and Robb, and some new designers we haven’t had before like Nancy Barrus, Garth Peay for Perfectly Suited, Sara Sandberg for Illume, and so many more! 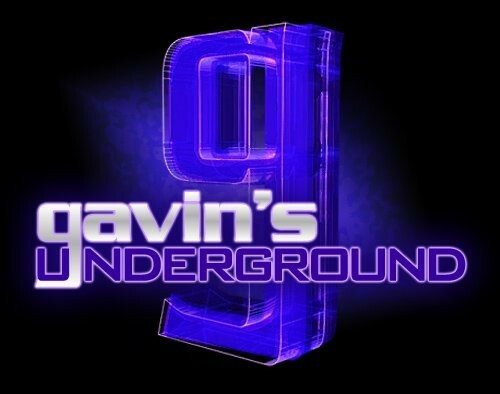 Gavin: What was the process like in setting up all the runway shows and locations, getting so many people on board for multiple events at once? Bree: Organizing Provo Fashion Week takes a lot of time, energy, and communication. Thankfully, we have an amazing team of people who make it all run smoothly. We have to be diligent in keeping everything organized, but each member is very involved and helps each member in any way we can. We are so thankful for our amazing team! Gavin: When presenting this many showcases, are you simply trying to show how many talented people are creating fashion in the area, or is it more about the kinds of style you're trying to showcase? Janay: It's a bit of both. We have so many talented designers apply that we always have a lot of collections to showcase. We also love the variety that we get in our shows—there is truly something for everyone. Gavin: When looking at the events, it does stick out that there are four bridal-related showcases, more than anything else represented in fashion. Is this overkill, or is it more playing to the Utah County audience? Natalie: We have two bridal runway shows and one ready-to-wear show. While our past events have been conglomerations of different styles, we are excited to have an entire day in our spring event that is focused on bridal fashion, and from what we hear, so is the public. Bridal fashion is a very influential and prominent market, which we believe merits its own runway shows. In the future, we hope to have our fall show focus on a conglomerate of styles and focus our spring show on bridal. Gavin: How would you say the Provo fashion scene has been doing compared to what's been coming out of SLC in the past year? Bree: Provo is definitely making its way on the map. It is home to major start-up businesses and is becoming a place where so much talent is taken and formed into amazing ideas. Some of the biggest fashion bloggers in the United States are from Utah and a large majority of them started their blog right here in Provo. With two local universities, there is so much potential for greatness. Not only are there so many talented designers taking part, but there are huge amounts of models, hair and makeup artists, and photographers. The Provo audience is excited about Provo Fashion Week, it is new and refreshing. Gavin: Which designer are you most looking forward to seeing during the week and why? 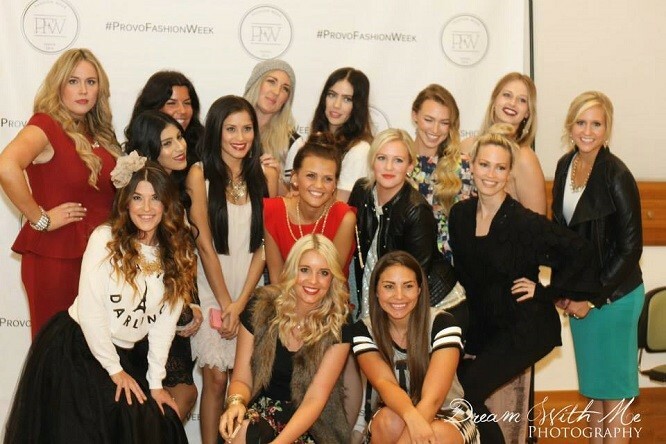 Janay: We love seeing everything that goes into preparing for Provo Fashion Week. Many months of preparation have taken place and every designer contributes enormously to the success of the show. We can’t wait to see what all of our designers have in store! Gavin: What do you hope people will take away from this event, both spectators and participants? Bree: We hope spectators will gain an awareness and appreciation of the amazing local talent that the area has to offer! Participants will get a lot of exposure, gain clientele, and find great networking opportunities as they rub shoulders with Utah Valley's fashion-lovers and industry VIP's. Gavin: What do the three of you have planned for the rest of the year after PFW ends? Natalie: After PFW, we plan to give ourselves a week or two to recuperate, and then we will get right back to planning and preparing for our upcoming PFW events!